10,000 Modern Steader Subscriber GiveAway! We Reached 10,000 Modern Steaders on Youtube!!!! 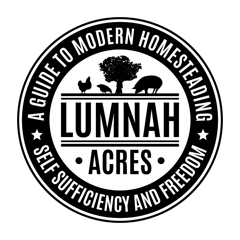 We wanted to thank all the Modern Steaders for subscribing to our Youtube channel Lumnah Acres. We are doing a Huge Giveaway thanks to coopsnmore. We are giving away three different INCUBATORS! For your chance to win, all you need to do is sign up for our newsletter. Scroll down to the page and on the right-hand side of a desk top computer is the sign up for the newsletter. If you are on mobile scroll down to the bottom! We will be giving away a 36 egg incubator at 24 egg and a 12 egg! The contest is open until Friday, Sept 15 at 7 am Est. We will choose the winners of the incubators and we will announce the winners in Sundays video. The first place winner will get to choose which incubator they want the second place will get the second choice and the third place winner won’t get a choice!! 🙂 The winners will have until Wednesday, Sept 20 to contact us or we will choose a new winner. The giveaway is for Modern Steaders in the US. If you are outside of the US still sign up and we will have something else for you! Shhhh…. Don’t tell! been subscribed since I saw you on the Justin Rhodes Farm tour! Giveaway, love the site, so much good information! Thanks! Thank you! Glad you are enjoying the site. Please my son has been wanting one and we can’t afford it please help. Thank you Al, Gina and Olivia for your wonderful channel and now this website and for all that you choose to generously share and inspire us with. Thanks also to Jason for sponsoring this giveaway! Although I already signed up for the newsletter a while ago (I believe I had the honour of being the first signup) no competition entry for me please, as I unfortunately won’t be available after this week to receive any prize and I’d much rather the prizes went to someone else anyway. We are glad you found us! If you win the incubator you could hatch your own meat birds! Enjoy watching your YouTube videos! Watch y’all every day. Thanks for sharing your homestead with us. Excited to see the progress on your channel and website! You are all doing a wonderful wholesome family channel that is refreshing in these times! Thanks! Thanks, we are glad you are coming along on this journey with us. The website is the correct spot. Sign up for the newsletter and you will be entered! Thanks for all the vids your family does. Very impressive!! thank you! We are glad you enjoy them. Love your YouTube video’s . Thank you so much for having this giveaway! I’m signing up right now! We love you guys and watch you every night as a family. Keep up the good work Modernsteadera! Thank you for the opportunity. Looking forward to my homestead journey beginning soon! Thanks! We hope you enjoy the blog! Great vlog, learned a lot. I signed up during the live event! So excited! I really want a great incubator! Some what new to your videos/web site. Still catching up on what you have done in the past. So far love what I see. Keep it up. Thanks! We are glad you are loving the YT Channel and website! Sign me up! So cool to see you all reach 10,000 subs. Congrats! This is a really cool giveaway. Sign me up! So cool to see you all reach 10,000 subs. Congrats! Love your channel by the way what kind of dog is Pluto. I have learned a lot from your channel about poultry keeping, and I really hope I can win an incubator to help me start breeding my own chickens! We have been starting a homestead this year and love following you on YouTube. We’ve learned a lot and now have both layers and meat birds. Congrats on the 10,000 subscribers! Congrats to 10,000 subscribers! My three autistic children and I are planning to start our own little homestead next year when we buy our first home. We love your videos.!!!! We are so excited to grow our own food. Would love to try to win a incubator but I assume I am to late to enter. Either way you guys are fantastic. You guys are teaching my family so much so we are ready. my 8 year old loves seeing all the chickens. He is begging me to get him chickens, My 9 year old wants the pig, and my 5 year old wants ducks. I guess when I start this it will keep us busy. Lol. Thanks! It sounds like you will have plenty to do when you start your own homestead! It will be fun! We have been watching your channel since May of this year. We really want to get a homestead going and watching your vlog gives us so much inspiration and knowledge, as well as, your family is a lot of fun to watch! You are not far away from us geographically and it gives us a better sense of what works best in our growing zone. Some of the channels we watch on a regular basis are good in their content, but we really can’t convert the content to our practical use because they have a much milder climate and longer growing season. We like the other subs too, it is very enjoyable to read their replies and comments to the different episodes. Some of their contributions are very helpful also. Please keep up the great work! Thanks, Dennis. Yes, we have some Great Modern Steaders on the channel and they leave some really helpful comments. We have been learning so much from everyone too! I’ve been browsing on-line greater than 3 hours these days, but I by no means discovered any attention-grabbing article like yours. It is lovely value sufficient for me. In my view, if all website owners and bloggers made excellent content material as you probably did, the internet will be a lot more helpful than ever before. “I think that maybe if women and children were in charge we would get somewhere.” by James Grover Thurber.